Do you have customer reviews for RunPhones? Home → Blog → Do you have customer reviews for RunPhones? RunPhones are Washable, Comfortable, & Stable; for just about any exercise! We fully guarantee your satisfaction with RunPhones! As a result, RunPhones come with a 6 month warranty and an exchange/return policy is in place that complements our guarantee. As the creators of both RunPhones and SleepPhones, we proudly stand behind our products and appreciate all the customer feedback we've been given! We encourage you to check out the customer testimonials for SleepPhones as well. If you need to contact us for any reason, please do not hesitate to email us. Jeff ran his first marathon with RunPhones and loved them! He said that he wore them almost the entire route and just wore them around his neck when he was chatting with the other runners in the beginning. Even around his neck, he could still hear the music, which was nice. They were not too hot, and they were very light and comfortable. Jeff went on to run his first 50k a few weeks later. 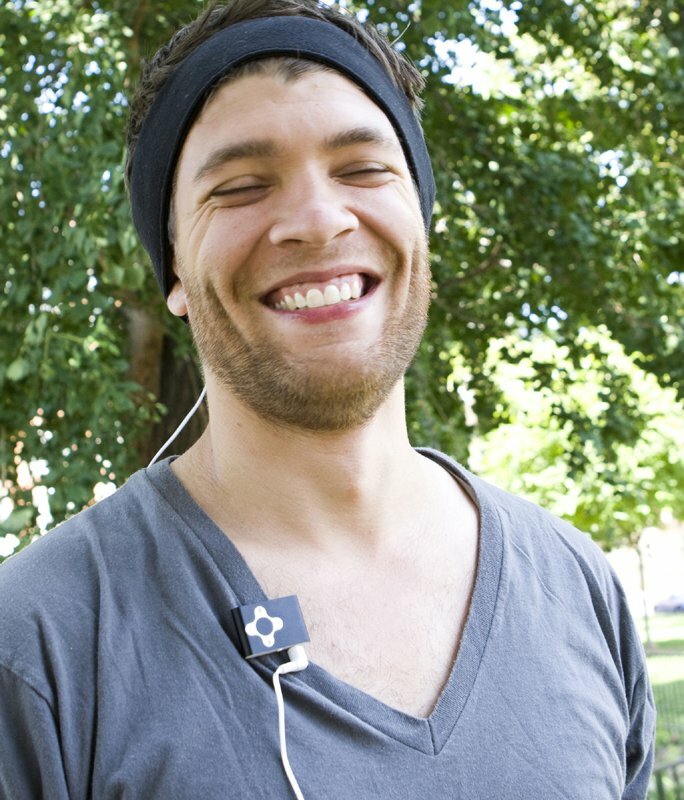 "They totally solve the problem of runners who like to listen to music while running: the head band doubles as a sweat absorbing band; the embedded headphones feel very comfortable right beside the ears, as opposed to traditional in-ear headphones which block the ventilation of ears and cause sweaty and air pressure discomfort. I saw some runners with over-the-head type of headphones having to adjust their headphones frequently because they don't stay stably (I imagine the other less-than-perfect solution would be using tighter headphones and run with more discomfort)." The CTO wears his RunPhones at his day-job so that his music and computer sounds don’t disturb his co-workers in his office. Since the CEO is always coming up with new designs, he’s always testing out the new ones for comfort and usability.